Speak up, why don’t you? Being deep conversation is one of the most intimate and rewarding human experiences. All that talking, listening, connecting is a powerful force. That said, the introvert in me loves nothing better than quiet conversations on my terms. It’s why I’m a huge fan of podcasts, spoken books and speech radio. Thankfully our tech-savvy world makes you can stay in touch and listen to interesting people on your own terms. It’s why I jumped at the chance to get into a conversation with podcasters Mike Riversdale and Raj Khushal of AccessGrantedNZ. In fact, my first podcasting experience. You can listen in on our conversation about leadership, startups and the genesis of Just Lead. Listening back for the first time I had that dreadful experience many people have – they can’t stand the sound of their own recorded voice. It’s enough to have me dialling for a voice coach before I ever venture forth again. But, speak you must, however much you hate how you sound. How else are people going to know what you think nor you spread the word about what matters most to you. 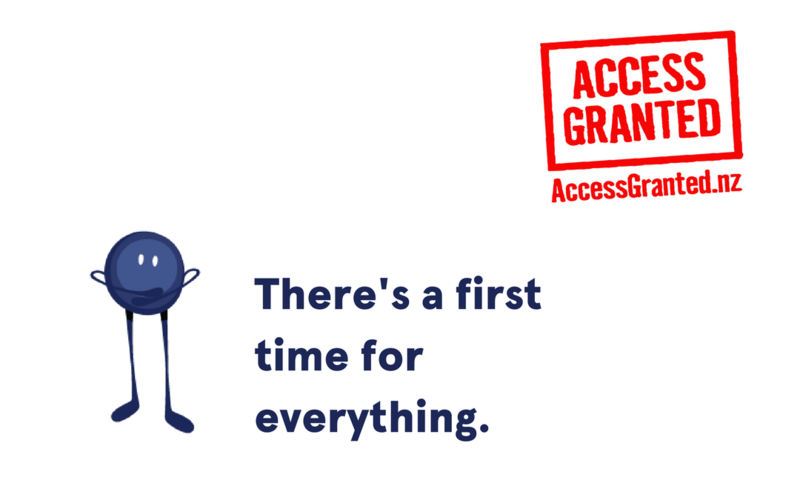 AccessGrantedNZ was born from Raj and Mike’s wanted to connect with NZ people from tech, social media, startups and upstarts. They have a splendid library of conversations to listen in on. They have beautiful podcasting voices too! Go on check them out.